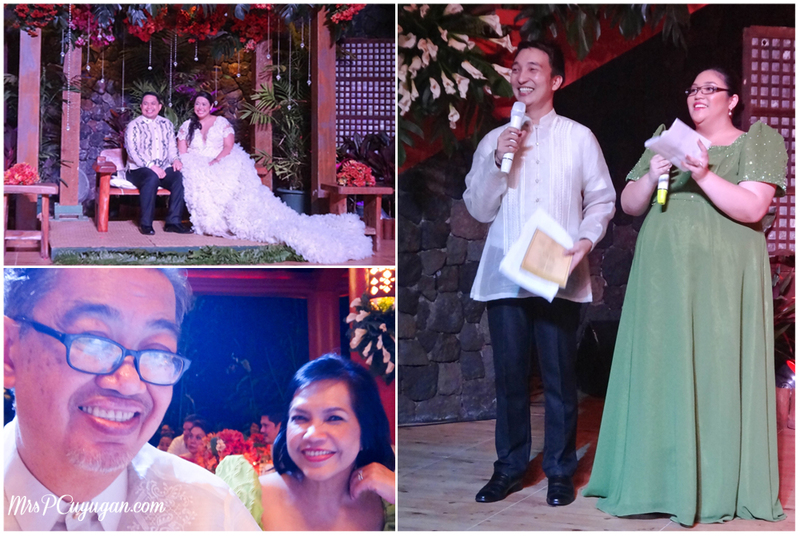 I think the groom said it best when he described their Villa Escudero wedding as magical. I wish that I could make photos do most of the talking just to prove this point, but unfortunately I don’t have that many pictures because I was (eep!) hosting the reception that evening. Yes, I had to set my stage fright aside so that I could give in to my sister-in-law’s request. I’m glad I did because I actually enjoyed hosting! I don’t think that I’ll be doing it again anytime soon, though. Villa Escudero is right at the border of Tiaong, Quezon and San Pablo Laguna. 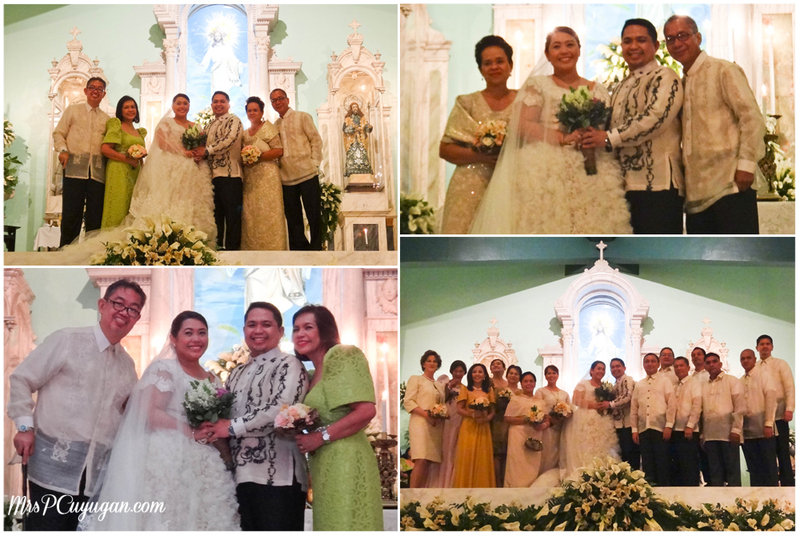 It’s one of the most popular options for an out of town Filipiniana-themed wedding within driving distance from Manila. Making arrangements with them is relatively easy even if you didn’t hire a wedding coordinator, like my sister-in-law, because they have their own team of coordinators and highly trained staff. Basically, they are so used to having weddings there that they just know what to do already. We arrived at Villa Escudero the night before the wedding so we were able to get a full night’s rest. I’ll tell you about our stay in a separate post. In the meantime, you can read about one of our pre-wedding visits here. Before the wedding. The photo on the upper right belongs to my cousin-in-law, Mykel. 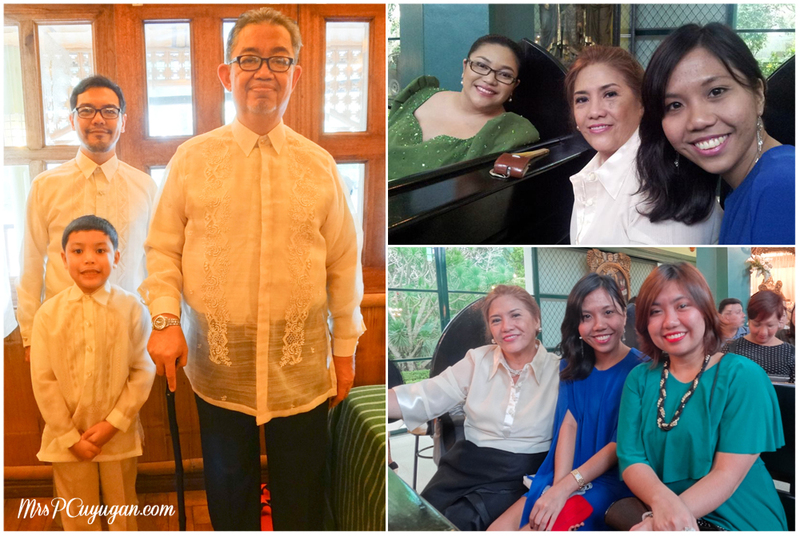 In the photo above, you’ll see three generations of Cuyugan boys, all decked out in their gorgeous Julius Tarog barongs. 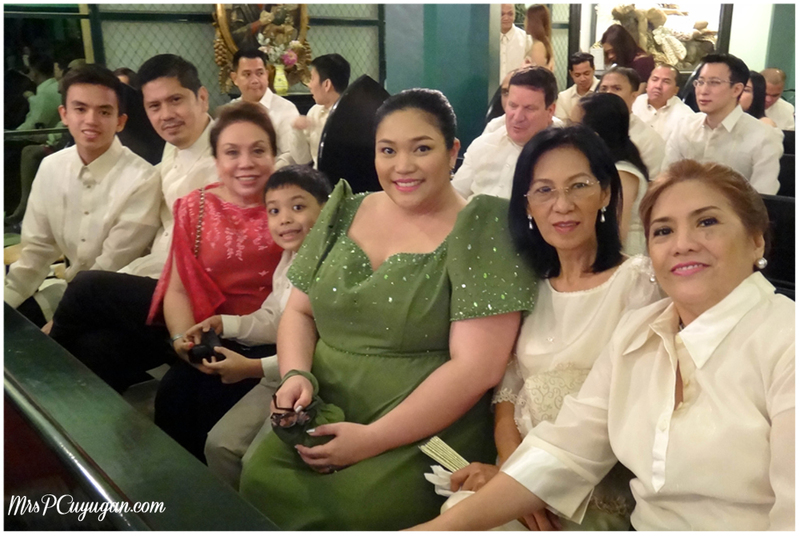 Julius did the gowns and barongs of the bride and groom, their parents, and the entire entourage. I have to say that he is just amazing when it comes to menswear, and the detail that he put into the bridal gown and veil are simply gorgeous. 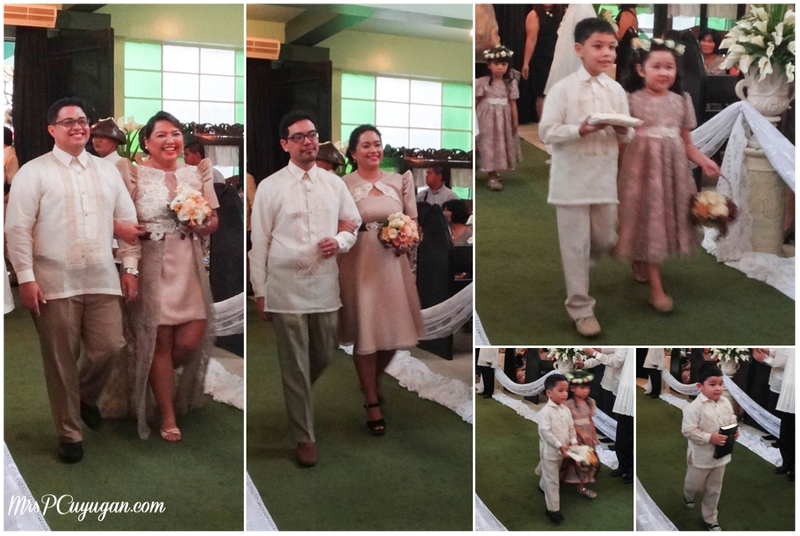 The siblings of the bride and groom, and the most adorable bearers and flower girls ever, all in Julius Tarog creations. The groom and his parents, plus a few of their godparents. That’s my beautiful mom in the bronze gown. If you are one for dramatic entrances, you will definitely enjoy being a Villa Escudero bride. 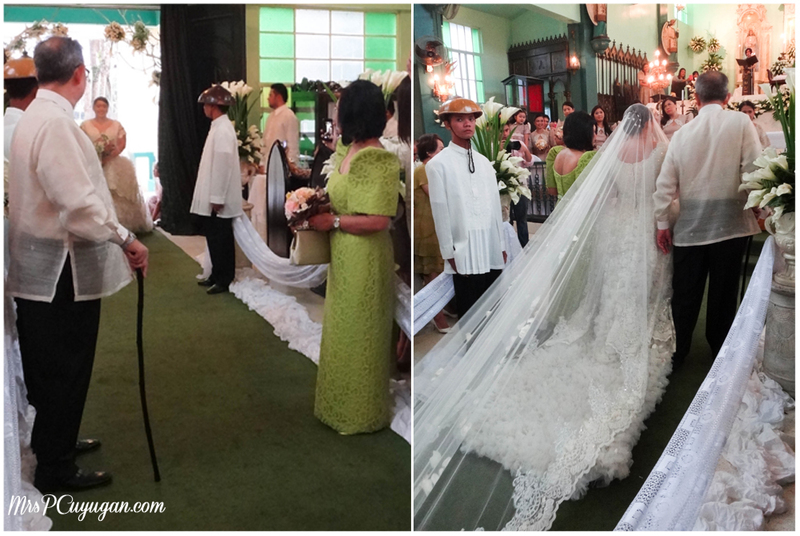 My sister-in-law arrived at the church via horse-drawn carriage, escorted by her very own guardia sibil. 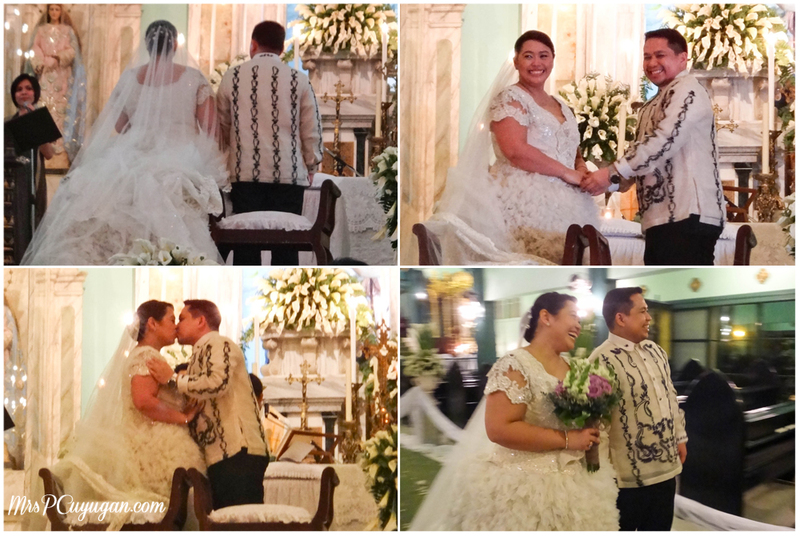 As she walked down the aisle, white rose petals rained down on her from above, while her sister (and maid-of-honor) sang Ikaw. Again, just like the groom said, it was a truly magical event. The bride and her parents, walking down the aisle. How gorgeous is my mom-in-law’s gown? Our makeup was done by the fabulous Ricardo Carlos, who also did the makeup during my wedding. Believe me when I tell you that he is the best! He has this amazing ability to make everyone look fresh and glowing, and even after an entire day and night of partying, none of us looked greasy or blotchy. Best of all, no rashes the following day, which is super rare for me! Posting this photo full-size, because it’s one of the few with me in it! 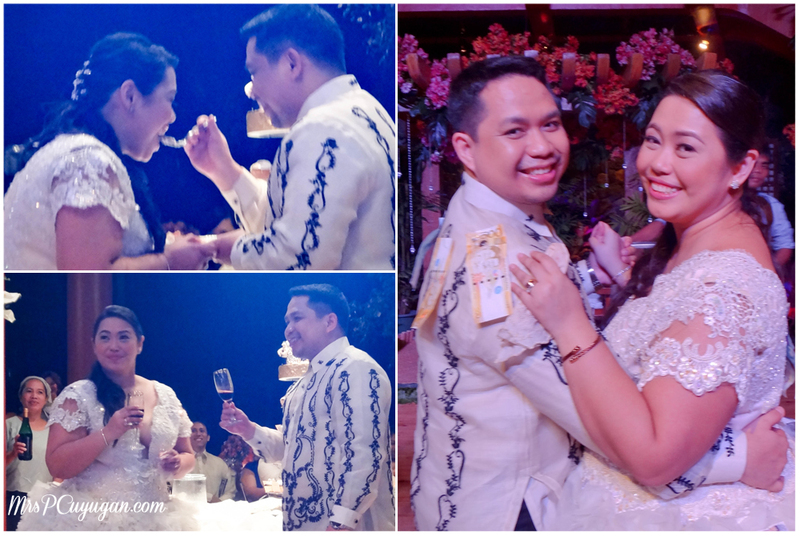 I think that one of the best things about Villa Escudero as a destination wedding venue is that everything you need on the day of your wedding can be booked through them. The church and reception pavilion are one carabao carriage ride away from each other. You can also opt to hire their accredited vendors for flowers and photo/video coverage, who are already familiar with the venue and are used to working with the in-house coordinators as well. Of course, the food is prepared by Villa Escudero, and they can make special arrangements for you for lechon, alcoholic drinks, and whatever other things you might want to serve your guests at the reception. 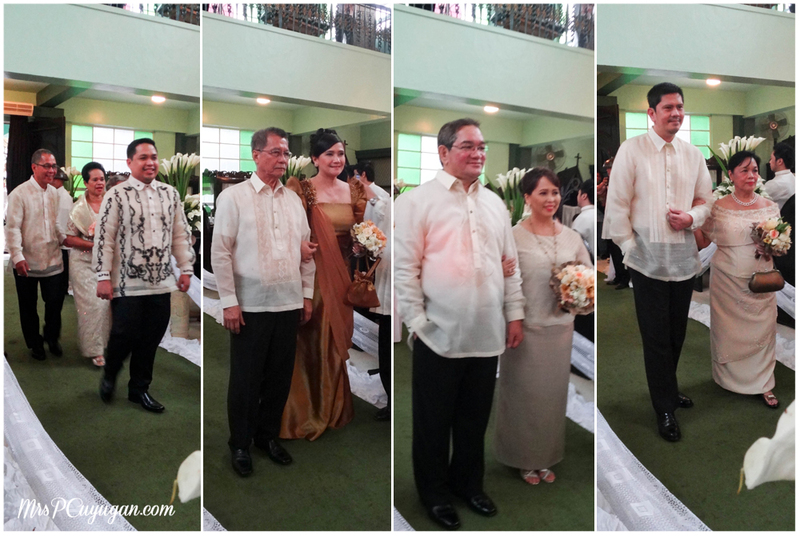 As far as I know, the flowers and venue styling were done by Escudero’s accredited vendor. For their photo and video coverage, the couple chose Filterpan as their supplier. I’ll share a link to the official photos once they are available so that you guys can see them. Might come in handy when you need photo/video coverage for your events. The wedding cake and cupcakes were prepared by my favorite, The Regali Kitchen, who also made my little boy’s Tron-themed 7th birthday cake. 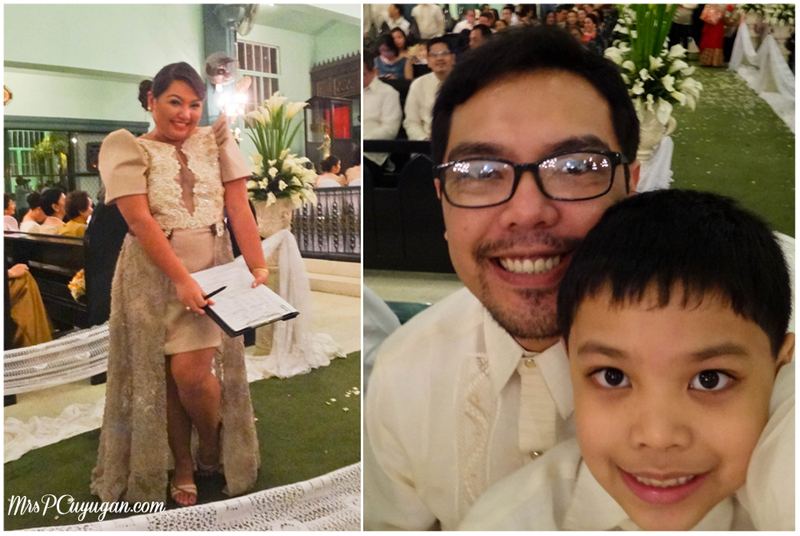 Mom and I had our gowns made at Bridesdream, a super easy to talk to and very budget-friendly dressmaker in Las Pinas. I found out about them from my friend, Jan-B, who had her wedding gown and bridal entourage dresses made there. I love that my gown is so simple and very comfortable. The sleeves can be removed too, so I can wear it again at a different, non-Filipiniana event in the future. Like I said, I don’t have any photos from the reception program. I’ll have you know, though, that the staff of Villa Escudero, together with their Folkloric Dance Group really made everything extra special. They have a ceremony that they do for the cake cutting and wine toasting that’s really unique and entertaining. They also do a performance to signal the opening of the buffet, complete with soup being carried in via palayok pots on the heads of some of the female dancers. Really impressive. I would totally recommend Villa Escudero to couples looking to have an out of town wedding, especially those who are thinking of doing a Filipiniana-themed event. Actually, I highly recommend all of the suppliers that my sister- and new brother-in-law chose for their wonderful wedding, part one. Yes, this is only part one! We had another lovely celebration in Bohol, which I will share with you (along with their provincial suppliers, too) real soon. To the newlyweds, congrats you guys! Time for babies! Hi! Am planning to have my wedding there. How was the food? Hi there, I just visited the venue last sat. for fokd tasting based on the ongoing wedding reception that night and I was very much disappointed. Do you still have pics of the food that they prepared or a list? Really appreciate your feedback. Thank you! No, I don’t, I’m sorry. It was my SIL who booked everything so I don’t have a list.